Articles and books published in Language in India are indexed in several leading databases: EBSCOHost database, MLA International Bibliography and the Directory of Periodicals, ProQuest (Linguistics and Language Behavior Abstracts) and Gale Research. The journal is listed in the Directory of Open Access Journals also. The next issue (the issue of June, 2012) will be uploaded by the second week of June, 2012 or earlier. Ms. R. Babybowna, M.A., M.Phil. and P. Veerachamy, M.A., M.Phil., Ph.D.
Deepika Nelson, Ph.D., M.Phil., MBA., M.A., B.Sc. Hemant Kumar Shukla, Ph.D. and D. R. Purohit, Ph.D.
Hemant Kumar Shukla, Ph.D. and D.R. Purohit, Ph.D.
S. Sankarakumar, S. Chandrakanthi, Ph.D. and P. Malathy, Ph.D.
Shagufta Akhtar, Ph.D., Nagina Zamurad, Lt. Col. Manzoor Arif, Ph.D. and Ishtiaq Hussain, Ph.D.
Sridevi A., M.A., M.Phil., (Ph.D.), Paranthaman D., M.A., M.Phil., and Gunasekaran S., M.A., M.Phil., Ph.D.
Aabdalla Nahar Al-Harafsheh, Ph.D. Candidate Ambigapathy Pandian, Ph.D.
Muhammad Javed, M.Phil., Ph.D. Candidate, Lin Siew Eng, Ph.D., Irem Mushtaq: M.Phil., Ph.D. Candidate and Noor Hashimah Hashim, Ph.D. Innovations in English Language Teaching: Voices from Indian Classroom. A Review by T. Anantha Vijayah, Ph.D.
A PRINT VERSION OF ALL THE PAPERS OF MAY, 2012 ISSUE IN BOOK FORMAT. 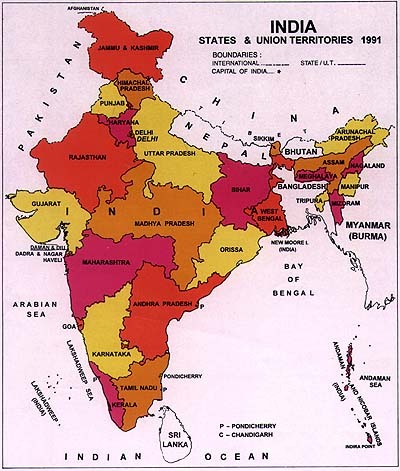 Language in India www.languageinindia.com is an international online monthly research journal, and is indexed in four major international databases: EBSCOHost, ProQuest (Linguistics and Language Behavior Abstracts), MLA International Bibliography and Gale Research. Thus, your research is available in University Libraries all over the world for others to read and cite. The journal receives over 360,000 hits every month and is accessed in over 75 countries. Please check out the details given in the home page of the journal. Language in India www.languageinindia.com charges a formatting fee of Indian rupees 800 only for the publication of each article submitted by authors from South Asia and other less affluent countries. Authors from affluent countries are charged a fee of Indian rupees 1600 only. Note that those authors of South Asian origin who work in affluent countries are also charged Indian rupees 1600 for each article. This fee covers only the formatting of articles, etc. for HTML presentation, uploading it to the Internet, maintaining it in the Internet and for doing repairs when necessary. The maximum length of an article is set at 25 pages in 1.5 line space and this includes all appendices, etc. which form part of the article. Formatting fee varies with the length of the materials submitted for publication. This formatting fee meets only partially the costs of formatting, uploading, maintaining the article in the Internet and for doing repairs when necessary. The decision to publish or not publish depends solely on the merit and relevance of the article accepted. Every university-approved Ph.D. dissertation is charged Indian Rupees 3000 and M.Phil. Dissertation is charged Indian Rupees 2200 only. Masters dissertations are charged Indian rupees 1500 only. University-approved dissertations are not normally reviewed as these have already been approved after review by examiners by the universities. However, minor adjustments may be suggested for easy readability. Every monograph accepted for publication in Language in India www.languageinindia.com will be charged Indian rupees 5000 only. Proceedings of the Seminars and Conferences will also be considered as monographs. Services offered include editorial help, formatting and academic suggestions. High Quality and relevance of research and appropriate research methodology, total avoidance of plagiarism are some of our major concerns. Authors of articles using Indian scripts are advised to send their articles in the PDF format to languageinindiaUSA@gmail.com. Language In India is a monthly online journal devoted to the study of the languages spoken in the Indian sub-continent. We wish to present the scholarly research findings on these languages in popular language. Our focus is on language use in mass media, education and administration, speech and hearing, sociolinguistic and political aspects relating to these languages and the society in the Indian subcontinent. We wish to present the linguistic descriptions, interdisciplinary research, and current issues of importance relating to Indian languages. Following the age-old tradition of Indian scholarship, the pages of this journal are open to scholarly articles on any language and society. We believe in co-operation and mutual help to foster amity between all peoples and their languages. This online journal publishes not only articles, but also book-length reports and studies. We want to be a blessing to Indian languages, praying for "strength for today and bright hope for tomorrow." We sincerely believe that every Indian language deserves our whole-hearted support for growth and that every one can find its place in a mosaic of unity and understanding, serving each other and singing the glory of God.